For nearly two decades, jet dragster driver Elaine Larsen has been one of the fastest women on four wheels. Elaine Larsen has contemplated slowing down, but her world just keeps moving faster. "The problem is, I'm getting more sponsorship now than ever," the soon-to-be 52-year-old said. "How do I quit when I'm bringing home the bacon?" 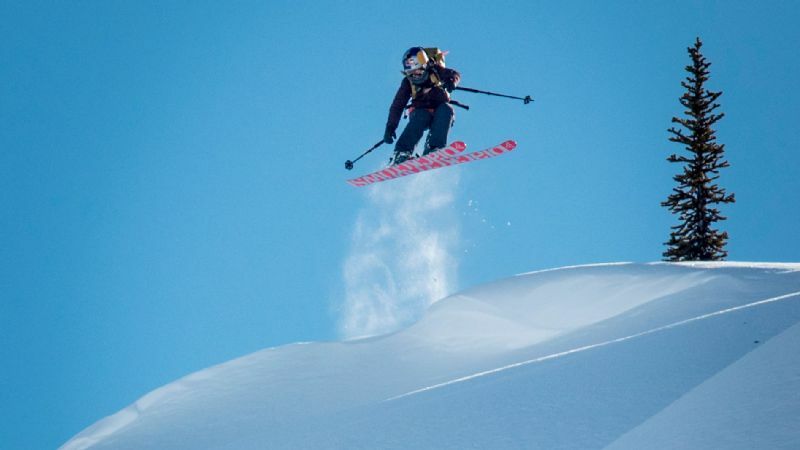 For nearly two decades, Larsen has been one of the fastest women on four wheels. Her Larsen Motorsports organization fields two jet dragsters, slim yet powerful missiles that blast down the drag strip at 280 mph or more. A two-time world champion with the International Hot Rod Association, Larsen has a personal top speed of 336 mph. In competition, she has traveled the quarter-mile at 296 mph and change. 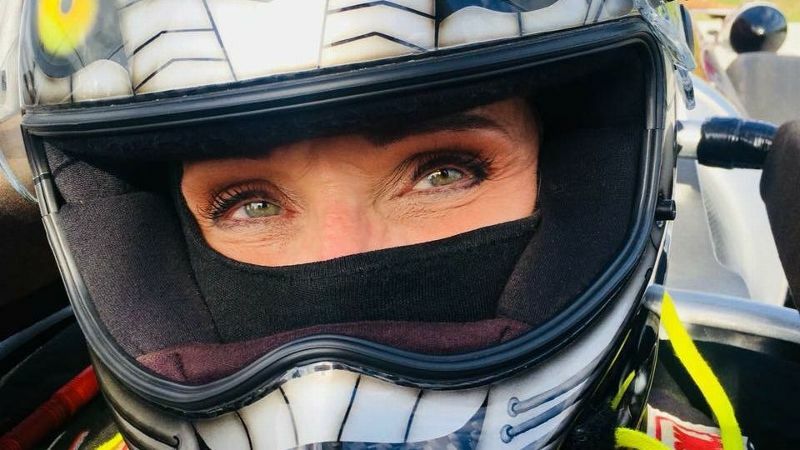 Driving a jet dragster has been her life for so long that she's now "featured in a retirement commercial," she said, laughing. "This girl will do anything." Elaine Larsen has had her jet dragster reach 296 mph in competition and said her personal top speed is 336 mph. Actually, she's serious. 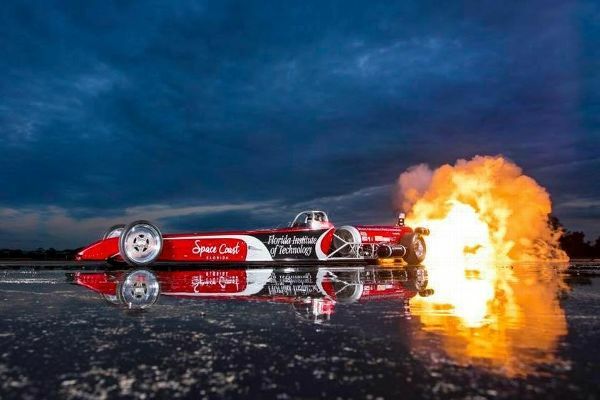 A visit to the website retireyourrisk.org pulls up a photo of her with helmet in hand, standing next to her jet dragster that is billowing smoke. It is part of Alliance for Lifetime Income, a retirement financial planning group and also "the biggest deal of my racing career," Larsen said. "It's an education outreach ... to educate people that you need to have a (financial) plan. I tell people when I reach the finish line on the racetrack, I need to have a plan. ... You can't just go riding into the dark and think somehow you're going to be OK. Same thing with financial planning." Larson grew up in a Mennonite home in the middle of Michigan and continued to exercise many of the beliefs and practices after her family left the church. "We weren't kicked out," she said. "It wasn't anything bad. ... My dad was an entrepreneur that wanted to grow his business and he saw ways to grow it and that really wasn't their thought." She met her future husband, Chris, in high school. After graduation came marriage, and after marriage came a move to Florida, where he could chase his dream of working in the airline industry. "He wanted to be an airplane mechanic and a pilot, so I worked three jobs to put him through school," she said. Payback would come in the form of a 1975 Chevrolet Vega. Florida provided the perfect backdrop for racing and/or flying. When her husband asked which she would prefer, drag racing was the easy choice. Having attended races as a fan, Larsen had gotten a taste of the speed and excitement of the sport. Competing wasn't a consideration, she said, until they purchased the Vega and took it to the racetrack. "I went down the drag strip, came back, and he never got a chance to even go down the track in it. It was just mine. I just loved it. I got the bug. And it didn't take long for me to want to go faster." Her enthusiasm was contagious, and it wasn't long before sponsors began to notice. "We had no plan. It just fell in our lap. Chris and I were just this mom-and-pop couple; they loved our work ethic, they loved what we did." Going faster took time and money. The couple continued to work, had a son, Andrew, and still raced within their financial means. She credits her Mennonite upbringing with giving her strong financial values. "We've never taken one single penny of debt to go racing because that would be pure insanity to me," Larsen said. "If we couldn't pay cash for it, we got second and third jobs, we earned the money and then we paid for it." Approximately 10 years after her first trip down the drag strip, Larsen found herself helping her husband build their own jet dragster. In their driveway. "We didn't know what we were doing," she said. "It was called the Miss Ta Fire and I remember the first time we started it up." Jet dragsters are typically between 25 and 30 feet long and powered by General Electric J85 engines that can produce up to 5,000 pounds of thrust. It's not like cranking up the family van. The Larsens took precautions -- they chained the dragster to a nearby telephone pole and to part of the race shop. "My son was 5; my husband gave him a garden hose and said, 'If Mom catches on fire, put her out,' " Larsen recalled. "We started it up and all I remember is as soon as the engine started turning over, I saw my kid drop the garden hose and go running to the garage. I could see his little head peeking around the corner, waiting to see if Mom was going to catch on fire." Elaine Larsen reaches out to racing fans in more ways than one. Her Blazing Trails program talks to kids about STEM and STEAM outreach. That was more than 15 years ago, and while mom didn't catch fire, she has had her share of bumps and bruises along the way. Two incidents have helped shape not only her life but the direction of the couple's motorsports operation. In 2011, Larsen suffered a head injury when her dragster hit the wall at nearly 280 mph. Doctors patched her back together, leaving her with titanium plates and screws in her head. The accident slowed her only briefly. But it also gave her time to look at what she was doing and what she wanted to accomplish. Out of that eventually came the Blazing Trails outreach program. The program, along with Larsen Motorsports' affiliation with the Florida Institute of Technology that includes internships and research, helped earn Larsen the Florida Commission on the Status of Women's 2018 Spirit of the Community Award. "We started talking to kids about STEM and STEAM outreach, about the science behind a jet dragster," she said. "About biofuels research. About composites, why do we use carbon fiber, why do we use fiberglass. How do you weld the chassis together?" The program has continued to flourish. Approximately 850 kids turned out for one of the group's recent field trips. "We did welding demos, talked about weather and how it can affect an airplane, how it can affect a race car," Larsen said. "I just thought, 'If we do this, it's going to make the races seem better to everyone.' We've got to ignite that spark in the next generation." A second accident claimed the life of one of Larsen's drivers, Katarina Moller, in November 2018. Moller, 24, was struck by a piece of debris while making an exhibition run at Sebring (Florida) International Raceway. "That literally took the air out of me," Larsen said. "She was one of my early jet girls. I had taught her how to race when she was 18 years old. "I put her in a car because that's what she wanted." Because of the accident, Larsen said the organization is "taking a little bit of a break from running four teams." "We're running two because that's what we have sponsors for now," she said. "We're going to grow again. We will." And Larsen said she plans to remain behind the wheel. "There are days when I get tired," she said. "But I can still run circles around these young kids."